Instead of Santa and Mrs. Claus greeting children in their miniature North Pole village house in Castonguay Square, they will be inside the storefront window of the REM forum on Main Street downtown. 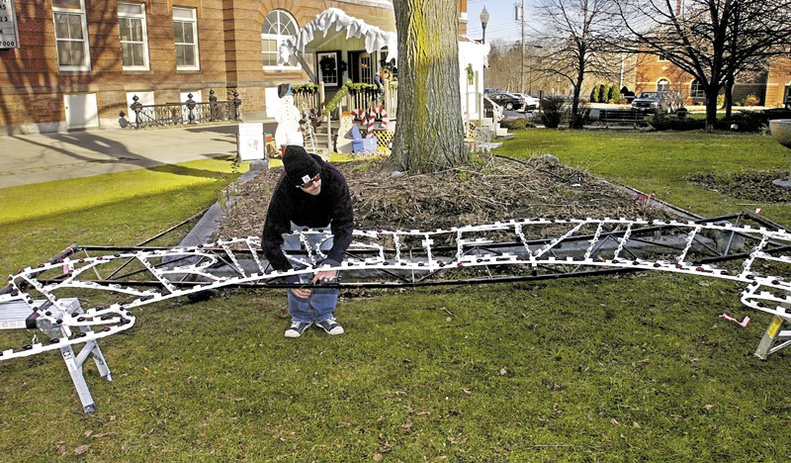 WATERVILLE — The 44th annual holiday parade and opening of Kringleville Nov. 29 will feature a big change this year. The reason for the change is two-fold, according to Jennifer Olsen, executive director of Waterville Main Street, which organizes the event. Having Santa Claus indoors in a larger and more visible space will alleviate the problem of children standing outside in the cold waiting to see him. Another benefit is that people who otherwise would not be able to see children and Santa talk will now be able to watch from Main Street. Olsen said REM officials embraced the change. The Parade of Lights and Kringleville opening the day after Thanksgiving officially kicks off the city’s holiday season and draws thousands of people downtown. It is Waterville Main Street’s largest event of the year, according to Olsen. Last year, about 15,000 people crowded the streets, helping usher in the season. Some stores stay open for the evening’s events, which include storytelling by Mrs. Claus before the parade and REM volunteers serving hot chocolate and cookies to children in The Center. 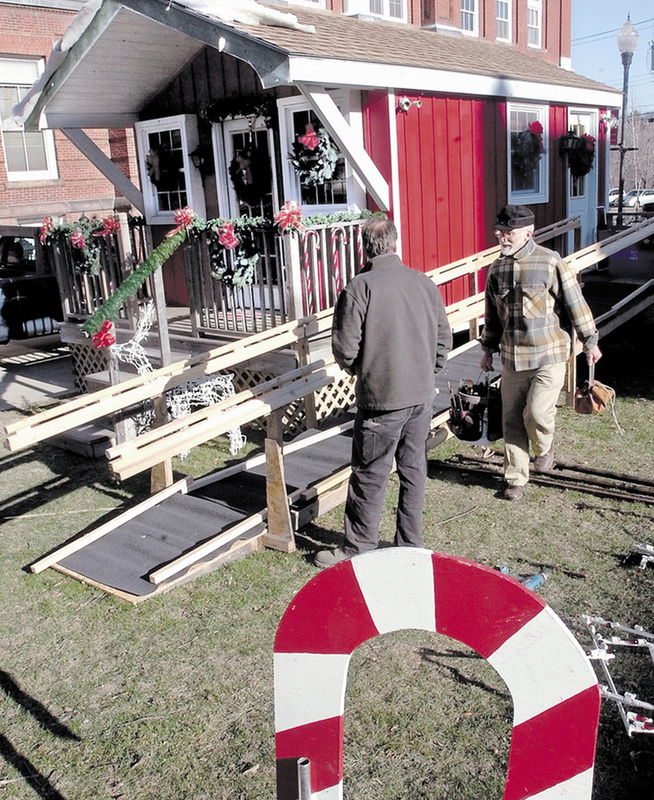 Mark Huard, a member of the Waterville Main Street Holiday Committee, has helped organize the event for several years. Huard is owner of Central Maine Photography, which takes photos of children with Santa Claus at Kringleville and makes the photos available for purchase that night. Huard said moving Santa and Mrs. Claus to The Center makes sense. Huard said he is excited to be part of the special community celebration.